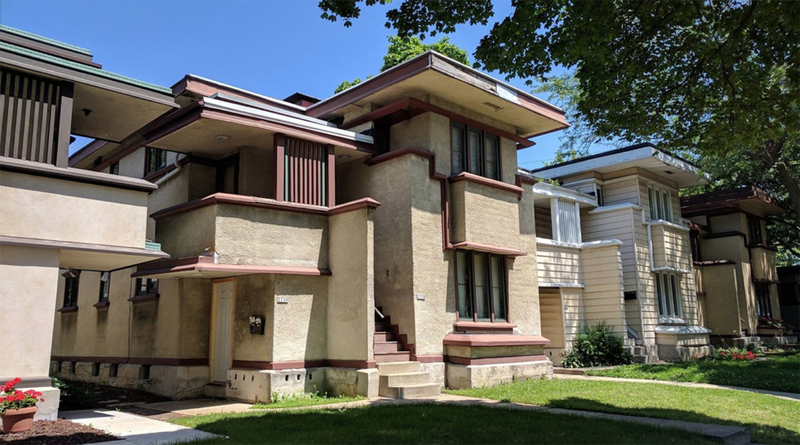 Frank Lloyd Wright’s Burnham Block has announced its purchase of the Wright-designed two-family home at 2728-30 West Burnham Street in Milwaukee. It is known as Two Flat, Model C, part of Wright’s American System-Built Homes series and built in 1916. All six Wright buildings on the Burnham Block are now in good hands and will be well cared for, according to the nonprofit, which will begin urgent repairs on the newly acquired building immediately. Read the full announcement at Wright in Milwaukee. Historic preservation tax credits have been approved for the restoration of the A.D. German Warehouse and the adjoining 1912 Warehouse. These credits will provide a minimum of $1.3 million in funding toward the $4 million project. Recent historic research in preparation for the restoration elevates the significance of the Warehouse, specifically regarding Wright’s development and innovation in cast concrete. Lessons learned at the Warehouse informed Wright’s next architectural innovations in Los Angeles and the Hollywood Hills, according to the A.D. German Warehouse Conservancy. The David and Gladys Wright House in Phoenix remains on the market at $12.95 million with no protections in place to ensure developers don’t purchase the land and tear the building down for new development. A preservation-minded buyer is needed to ensure that this building is protected with a preservation easement and is conserved for future generations to experience and appreciate. The Conservancy continues to work to identify a potential buyer and asks its members and followers to continue to spread the word about this building so that the right buyer can be found. 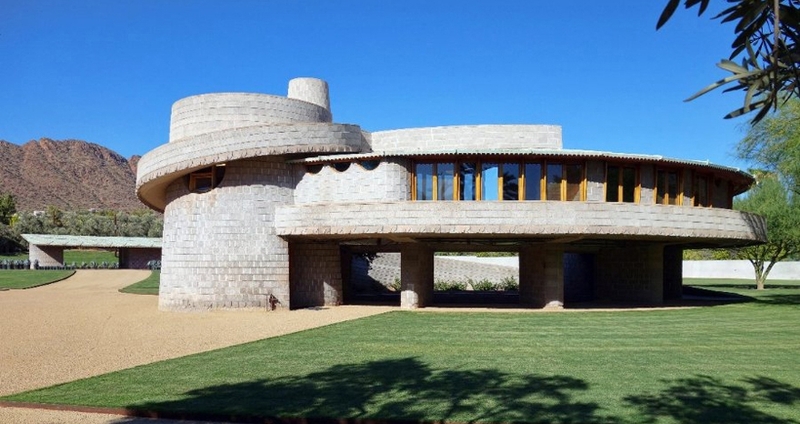 The Coonley House, one of Wright’s most important Prairie-style houses, has found new stewards. Before closing, the new owners contacted the Frank Lloyd Wright Building Conservancy to discuss the preservation easement the Conservancy holds on the house. We look forward to a good relationship with the latest members of the Wright homeowner community. Read more at Crain’s Chicago Business. In early January, the Conservancy was invited to join representatives of Unity Temple Restoration Foundation, Unity Temple Unitarian Universalist Congregation, and Landmarks Illinois for a private meeting in Oak Park, Illinois, with developer Golub & Company and Walsh Construction regarding the 28-story residential high-rise development being proposed a half block east of Unity Temple. This high-rise would join other recently completed buildings that have popped up on Lake Street over the years that are increasing the density of downtown Oak Park, and attracting a new urban rental market that is attracted to the area’s proximity to Chicago. The building as designed would include 213 tower units, 43 flat units, an amenity deck, an enclosed garage and a well-lit landscaped street-level pedestrian walkway. At the meeting, preservation groups and the congregation expressed concerns about the impact of such a large project on the newly restored building. Golub discussed plans to ensure the protection of the newly restored exterior and interior elements at Unity Temple during the construction process. The company also discussed the shadow impact studies that were completed. While the building design was revised to minimize shadowing with a street setback and a more narrow tower, the studies showed that the maximum height of a building before it casts any significant shadows was at 90 feet. The renderings show a 299-foot building. Current shadow studies show that the mornings during the vernal and autumnal equinoxes will be the greatest time for shadow, which will be most pronounced on both the sanctuary and Unity House during the worship service times of 9-11:45 a.m.
Should such a tall building be approved, it would require a special zoning variance in this neighborhood currently zoned for 45-feet. Preservation groups and the congregation will continue to work with Golub on the design to ensure that the experience of Unity Temple is not compromised by shadow. In November 2018, the Conservancy submitted a revised World Heritage nomination. Unity Temple, the oldest building included in the nomination, is one of the first truly modern buildings, with its abstract cubic form and progression of spaces. In 1905, Wright also designed for a busy Lake Street site on the major east-west thoroughfare within the Village. From Wright’s perspective, it was shielding an interior environment created according to what he understood to be natural principles from an “unnatural,” inharmonious setting. 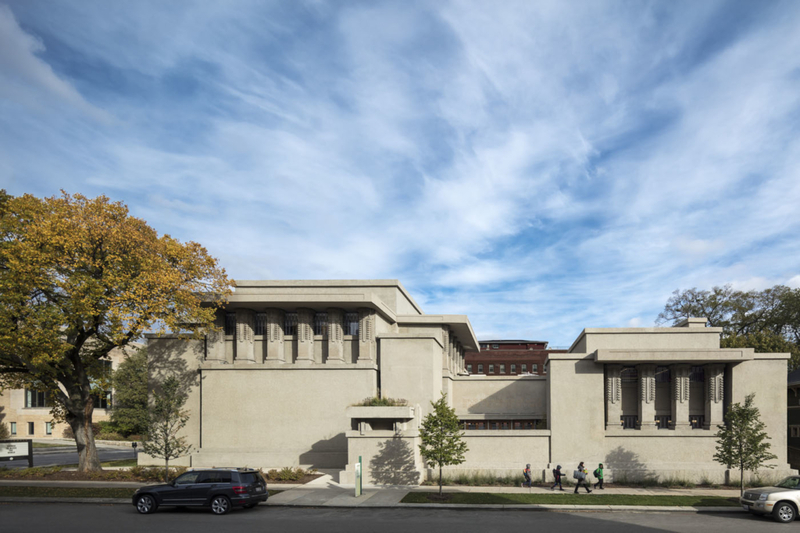 The rigor of Unity Temple’s massing, spaces and details, as well as the power of its concrete structure, was orchestrated to provide a place that was a welcoming sanctuary for members of its congregation. The light from the amber art-glass clerestory windows and skylights washes the interior, thus unifying the whole. Not only would shadowing affect the light through the art glass, but also if the shadows were to land on the exterior of the building, there would be a significant loss of the beauty and meaning created by the composition of planar masses. This play of light on surface and void is part of what makes the building come alive and what is so striking about it. Anything that affects these key attributes of the building would be a huge loss to the congregation and the world of architecture. 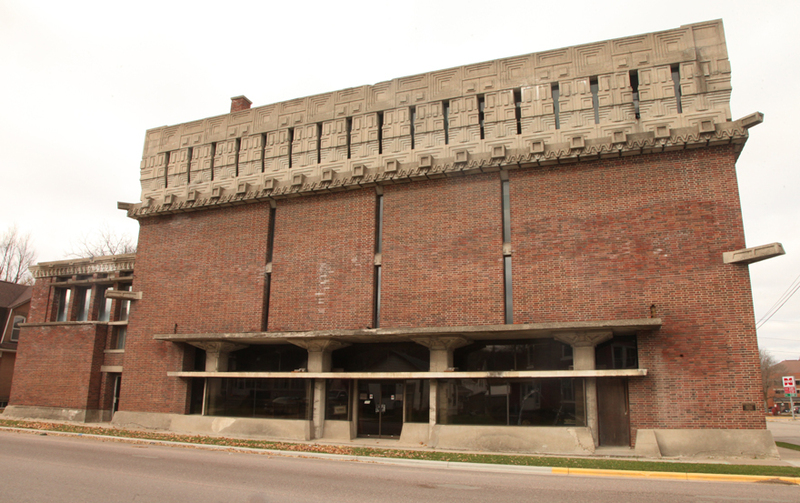 The cultural world is watching what decisions will be made in Oak Park regarding any future developments on this site and the effects it will have on the experience of Unity Temple. A building that casts a shadow on Unity Temple would simply be unacceptable.